What's the best thing about your angling club? 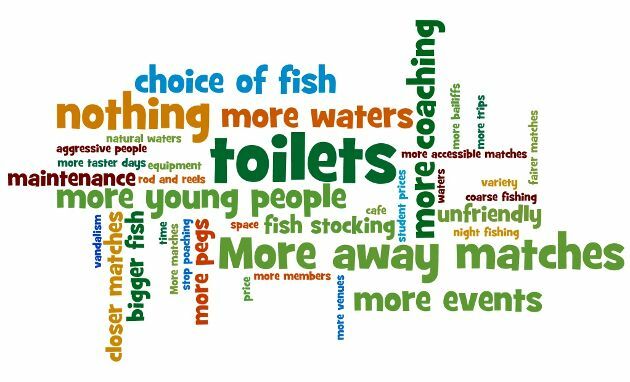 What would you improve about your angling club? How could young people's fishing experiences be improved? The results have been collected together and presented as a wordle below. The size of the word represents the frequency of the answer given. What's the best thing about your club? What would you improve about your club? How could young people's fishing experinces be improved?